Benjamin has been invovled, in the last 11 years, in many signficant commercial and industrial (and most of the largest) real estate transactions in Singapore. These include most recently in 2018 acting for Facebook’s acquisiton of S$1.4 billion data centre in Singapore (its first in Asia) and back in 2008 (and 2011), acting for JTC Corporation in its divest ment of industrial land to private owners. (iii) other real estate related advisory (including for co-working spaces) and financing work involving property-related commercial contracts and security arrangements. 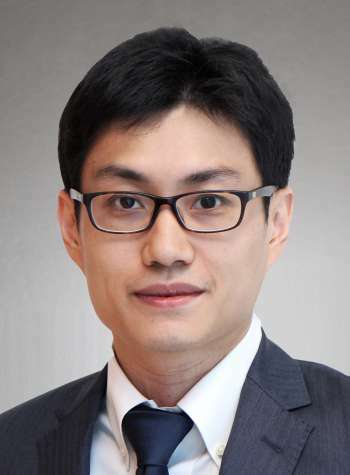 He also has an active practice acting for tenants of office and industrial leases, with a focus on co-working space leases and works closely with foreign counsels in matters involving Singapore real estate. Acted for Facebook in its acquisition of S$1.4 billion first-in-Asia data centre in Singapore which will be an 11-storey, 1.8 million square feet facility completely powered by renewable energy and new StatePoint Liquid Cooling system. The negotiations involve Jurong Town Corporation, Public Utilities Board and the Economic Development Board. Acted for Viva Industrial Trust Management Pte. Ltd. and Viva Industrial Business Trust on the S$936.7 million merger of ESR-REIT and Viva Industrial Trust by way of a trust scheme of arrangement with a combined S$3 billion in properties predominantly for business parks and other industrial uses. Acted for CWT Pte. Limited. (which is a wholly-owned subsidiary of Chinese conglomerate HNA Group) and its related companies in the sale of 5 in Singapore for an estimated sale price of S$730 million to Mapletree Logistics Trust. The sale price excludes the estimated upfront land premium for the balance lease terms payable by Mapletree Logistics Trust to Jurong Town Corporation of S$48.3 million. Acted for OUE Limited in the sale of the strata-titled office components of the development known as OUE Downtown which is refurbished mixed use development comprising two high-rise towers of 50 storeys and 37 storeys each, as well as a retail podium and multi-storey carpark. is located in the Singapore financial hub with all the plant, machinery, equipment and all component parts in the Office Components for S$908 million with a rental support arrangement for a period of up to five years from completion. Acted for Kheng Leong Company (Private) Limited in the acquisition of Nassim Hill Realty Pte Ltd (“NHR”), which owned 45 then unsold units in the boutique luxury condominium known as The Nassim, from CRL Realty Pte Ltd (a wholly own subsidiary of CapitaLand Limited) for an aggregate consideration of S$411.6 million. Acted for M+W Singapore Pte. Ltd. in its successful bid for the data centre situated in Jurong from Jurong Data Centre Development Pte. Ltd. (in creditors' voluntary liquidation) (receivers and managers appointed) acting through its receivers and managers, and its liquidator, at an auction conducted jointly on 16 August 2010. This matter included acting for M+W Singapore Pte Ltd in the real estate aspect of its enforcement of the debenture / mortgage against Jurong Data Centre Development Pte. Ltd. in relation to the data centre located in Jurong. Acted for Sembcorp Industries Ltd in its transfer of a propylene purification plant on Jurong Island to Eastman Chemical Singapore Pte. Ltd. Acted for AbbVie Operations Singapore Pte. Ltd. in its acquisition of a biopharmaceutical manufacturing facility in Tuas Biomedical Park from MSD International GmbH (Singapore Branch) (“MSD”) and including post-Completion disentanglement arrangements with MSD. Acted for SMRT Trains Ltd. ("SMRT Trains") and SMRT Light Rail Pte. Ltd in relation to the real estate aspects of the transfer of ownership of rail operating assets (estimated at approximately S$991 million), to the Land Transport Authority of Singapore in conjunction with the transition of SMRT Trains to a new operating licence under a new rail financing framework. Acted for UOL Residential Development Pte. Ltd. and UOL Property Investments Pte. Ltd. (part of UOL Group Limited) in the S$313 million acquisition of the Lion City Hotel and the adjoining site. The unit land price for the Tanjong Katong-Geylang Road area properties, with a total freehold land area of 147,909 square feet, works out to be S$779 square feet of potential gross floor area and based on the allowable development options then prevailing, the property may be developed into a commercial and/or residential development. Acted for subsidiaries of UOL Group Limited in a number of its acquisition by way of collective sale and purchase from majority owners of various residential developments in Singapore, including the successful one at St Patrick’s Garden. Acted for multiple office tenants in Singapore including Muzinich & Co. (Singapore), Acadian Asset Management (Singapore), , WillisTowersWatson (Singapore), Amazon Asia Pacific Resources, NBCU Singapore entities, Hewlett-Packard Singapore e.t.c. Acted for IWG plc (formerly known as Regus) Singapore entities in its lease of Singapore premises for co-working spaces/premium offices in 2018. Acted for Singapore Warehouse Company (Private) Ltd., a wholly-owned subsidiary of Hwa Hong Corporation Limited, in the grant of a 15-year lease of the land situated at Paya Lebar, Singapore, together with the nine-storey building erected thereon to Pacnet Services Global (S) Pte. Ltd. Acted for Novena Square Investments Ltd and Novena Square Development Ltd, both part of UOL Group Limited, in its grant of lease of premises at Novena Square Tower A & Tower B to the Central Provident Fund Board. Acted for Hotel Plaza Property (Singapore) Pte. Ltd. in its grant of lease of premises in the office block at Upper Pickering Street to the Government of the Republic of Singapore (represented by the Attorney-General's Chambers). Acted for Toll Offshore Petroleum Services Pte Ltd in its grant of various leases (including built to suit leases) to various multi-national corporations in the Loyang Offshore Supply Base. Acted for the syndicate of mandated lead arrangers, lenders and hedge banks as transaction counsel in the real estate aspect of the S$830 million financing to Asia Square Tower 2 Pte. Ltd. for the development of a Grade A office and retail building with an integrated 5-star hotel, and subsequent refinancing. Acted for the syndicate of mandated lead arrangers, lenders and hedge banks as transaction counsel in the in the real estate aspect of the S$1.94 billion financing to Asia Square Tower 1 Pte. Ltd. for the development of a Grade A office and retail building, and subsequent refinancing. Acting for Singapore DCS is preparing a Wayleave Deed for the laying of district cooling system pipes from Ocean Financial Centre to Raffles Place MRT Station. Acted for HSBC Institutional Trust Services (Singapore) Limited (in its capacity as trustee of Ascendas Real Estate Investment Trust) in various matters as its trustee of A-REIT and CIT.